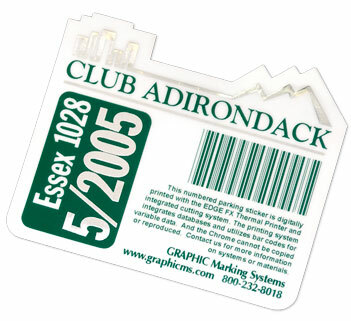 You can produce your own security labels with variable information and consecutive numbers. Use bar code fonts, invisible ink, or non-reproducible holographic media, chrome or metallic colors. This sample is printed on clear with green and chrome silver foil, laminated with white vinyl and printed on the back side too. the "Good" package. If you plan on using thick laminates such as Tuff Cover, choose at least the "Better" package with the enVision cutter.